The 2014 Best in the Desert Vegas to Reno is in the record books. The Jagged X team was able to bring home a solid second place for the 1919 of Brandon Schueler & Blake Van de Loo and another much needed finish for the 1931 of Craig Scanlon and Keith Redstrom after overcoming a major mechanical repair on course. This race marks the beginning of the second half of the 2014 BITD season and shows both Jagged X cars in contention for podium season finishes with Schueler leading the points and Scanlon in the fourth spot just a few points away from third. 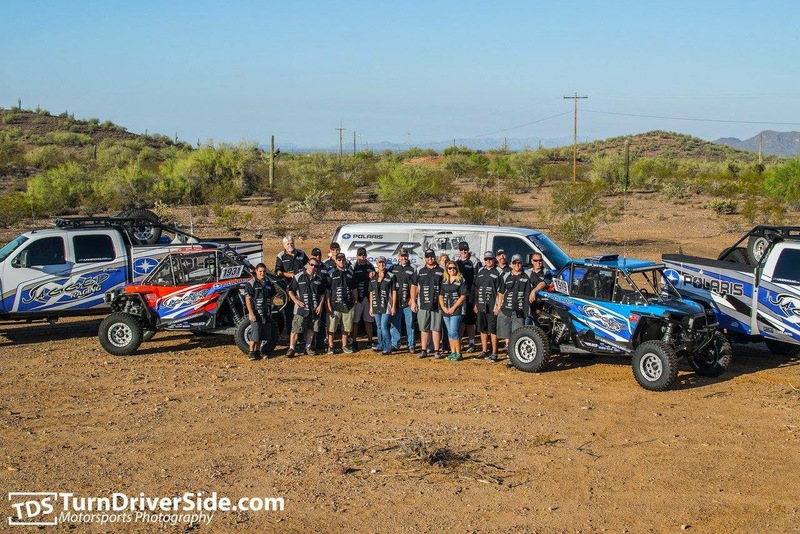 With two BITD races and two Score races left including the famed Baja 1000 there is still plenty of racing and plenty of work to be done. 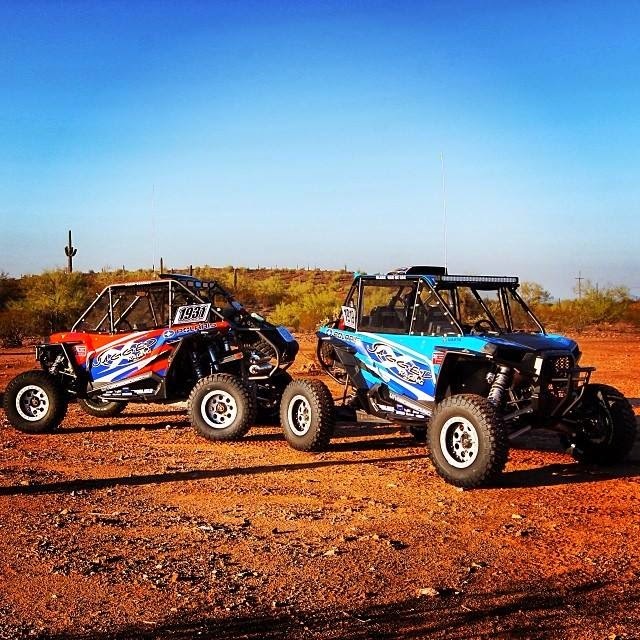 Our new Polaris RZR XP 1000 platform just continues to get better with every mile and we are excited keep this momentum going. We could not compete at this level without the help and support of our team mates and all our product sponsors. 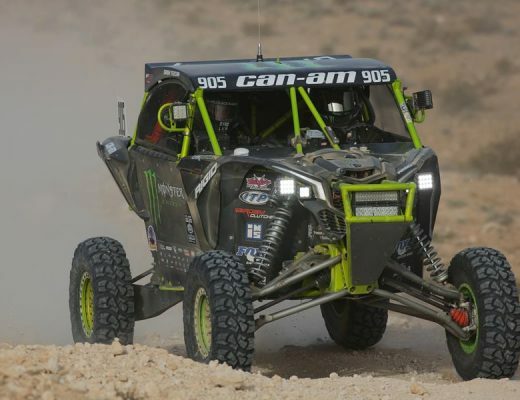 We especially want to thank Polaris for your continued commitment to our racing effort and for building such incredible vehicles. Thanks to all our product sponsors: Walker Evans Racing, Muzzy’s Performance, CR Designs Custom Paint, OMF Performance Products, Cutting Edge Manufacturing,Vision X Lighting, Varta Powersports, Polaris Lubricants, Simpson Safety, Factory UTV and Mountain States Contracting for your continuing support. Craig Scanlon, Keith Redstrom and Landon Kobrick in the 1931 along with Brandon Schueler, Blake Van De Loo, and Chad Riccio in the 1919 car!